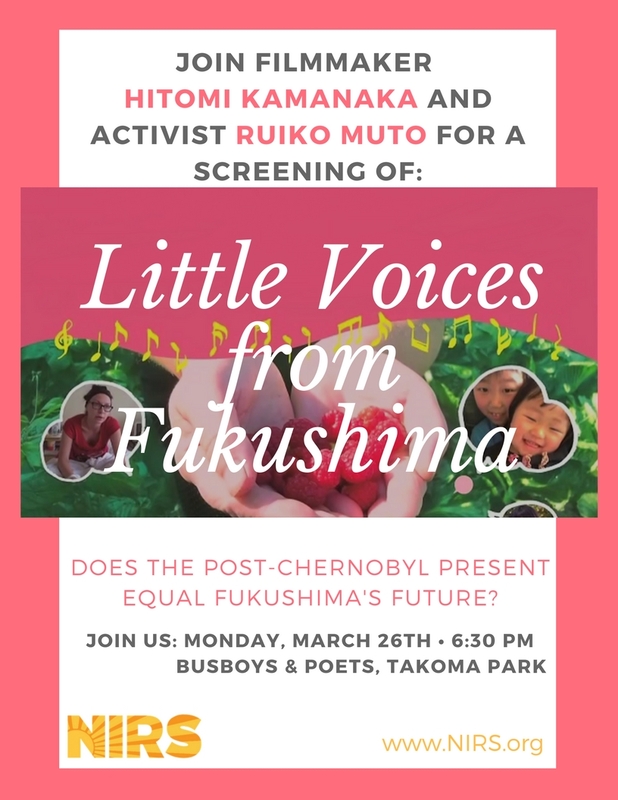 NIRS is pleased to sponsor a screening of the documentary film, Little Voices from Fukushima, and discussion with filmmaker Hitomi Kamanaka and activist Ruiko Muto. ABOUT THE FILM: Highlighting children and their mothers in nuclear disaster areas, documentarian Hitomi Kamanaka poses the question, is the aftermath of Chernobyl the future of Fukushima? In Belarus she meets sickness-prone children born long after Chernobyl (April 1986) and learns about their care, including recuperation trips organized by a weary, warm, determined pediatrician. 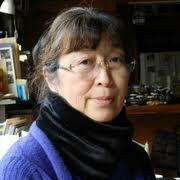 In Fukushima (March 2011), she follows mothers who have been anguishing over how to keep their children safe. Living outside the narrowly drawn evacuation zone, they feel abandoned until they come together at a Buddhist temple kindergarten. We are also introduced to Japanese activists who hosted recuperation visits by Chernobyl children now mobilizing their expertise to help children and mothers from Fukushima. Nuclear disaster pushes all of them to reexamine their lives. 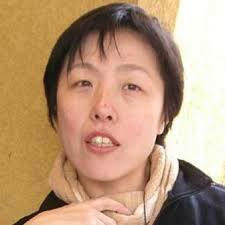 For a 2-minute trailer of the film, please see here.